What is a North Carolina Non-Compete Agreement? North Carolina Non-Compete Agreement: What Is It? 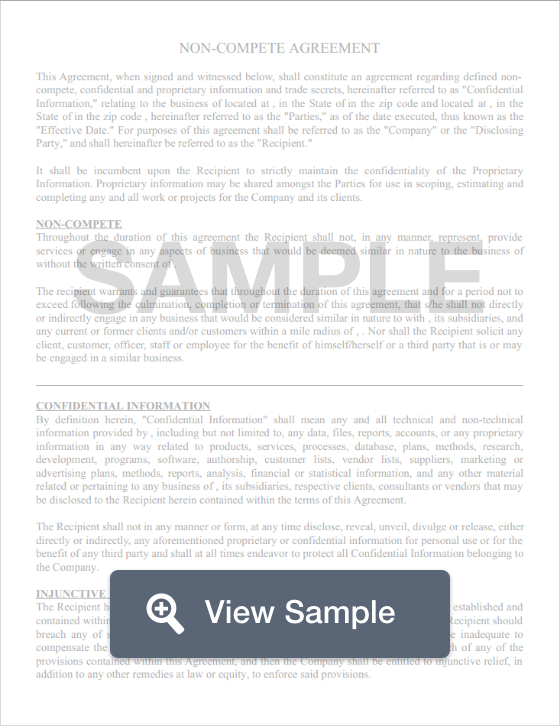 A non-compete agreement in North Carolina is a document that allows companies to protect their trade secrets and business interests by obtaining a written promise from an employee that they will not disclose sensitive information. Non-compete agreements often restrict an individual's actions post-employment. These restrictions often include the employee refraining from working for or with competitors for a certain period of time and/or geographic region. North Carolina prohibits employers from requiring their employees to sign overly-restrictive non-compete agreements. This means that non-competes must not impose a greater than necessary strain on the employee once his or her employment comes to an end. Furthermore, non-compete agreements that cause harm to the public, or go against public policy are unenforceable.